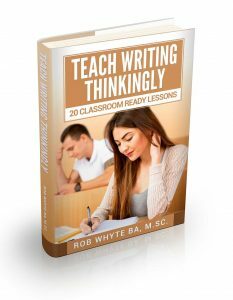 Teach Reasoning in the EFL Writing Class? Teachers sometimes lament the fact that EFL students can’t seem to write well-reasoned, logical arguments in English. The underlying socio-linguistic factors thought to influence higher order cognition of that kind are plentiful. For example, some people suggest the way we talk affects our thinking, or the way we write script gives people from some cultures an analytical advantage. Or, it might simply be that people from different cultures see the world differently, as suggested by the Michigan Fish test, and therefore cannot write about experience in the same way. 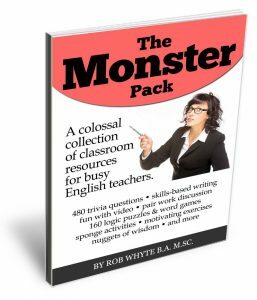 Perhaps EFL instructors have not found an effective teaching technique to help non-native speakers organize ideas in a logically coherent fashion or even the language they need to represent complex ideas on paper. Some English teachers believe well-reasoned arguments can be constructed inside a five-paragraph essay template. A thesis sentence (i.e. the main idea) backed up by supporting evidence in three paragraphs, each carefully crafted with cookie cutter precision and topped off with a topic sentence, constitutes persuasion. 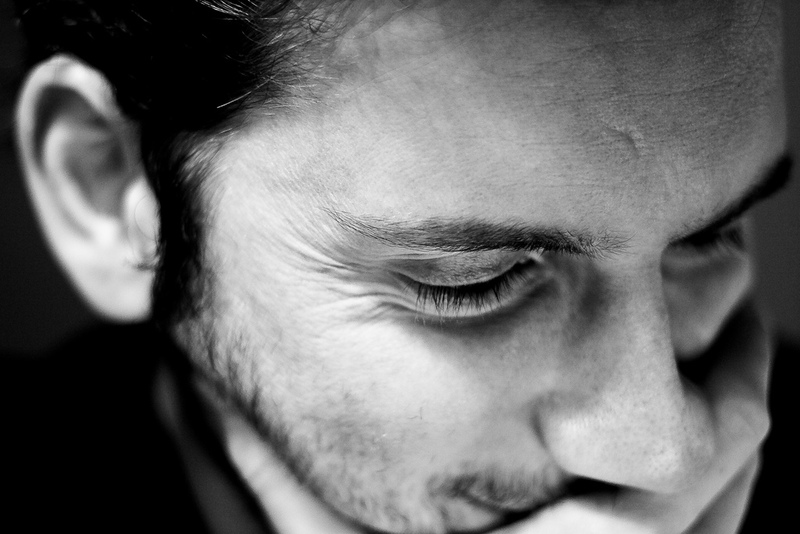 In other words, the way we organize ideas is the way to we create reasoning. Seemingly, what happens inside or between paragraphs is not so important. I understand the appeal of the five-paragraph essay. It’s easy to teach. It’s mental Lego with a manual that tells everyone how the pieces should be assembled. It’s also easy to grade, especially for high-risk test readers who spend a minute or so skimming a student’s written work. While it’s hard to argue against organisation, one of the problems with the way the five-paragraph is taught is oversimplification. 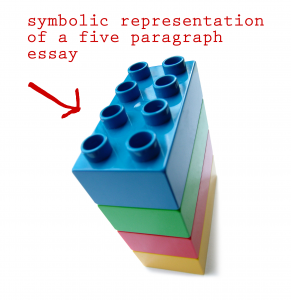 The five-paragraph essay, some say, is a building block, but that misses the point. What’s really important is the mortar, the hard stuff in the middle that cements ideas together. An inquiry-based approach to reasoning is an effective classroom alternative to the five-paragraph essay. It’s a process that requires students to create well-reasoned arguments with explicit linkages between evidence and conclusions, an element of argumentation and critical thinking that is often missing according to experts like George Hillocks Jr. Hillocks developed this inquiry process for American students by drawing on Stephen Toulim’s model of arguments. I simplified Hillocks’ work and adapted it for non-native speakers in an EFL classroom. I have taught this method in university classes. And it works like a charm. Once students learn to use the inquiry-based approach to reasoning and the language requirements that seem to naturally go along with that level of thinking (e.g. appositives and complex sentences), I was amazed at the difference in the quality of their work. The four-step model is easy to explain, but requires considerable effort to understand and put into practice. That’s why I use simple examples in class to illustrate the main points and work through the logic before launching into more complex thinking and writing assignments. This ain’t no mental Lego puzzle. Question: What is on the bottom of this object? Evidence: It looks like a die. Each side of the die has a different number of dots. There is a number six on the top. 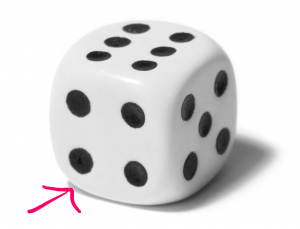 Rule: Usually, the opposite sides of a die add up to 7. Conclusion: Therefore, the bottom of the die probably has a 1. This short exercise shows students that we sometimes make conclusions without being aware of our assumptions (step 3). Once the students learn this process, they are able to make well-reasoned arguments about complex issues. 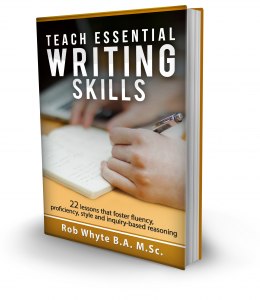 If you think your intermediate+ EFL writing students might benefit from this type of instructional practice, buy the ebook. 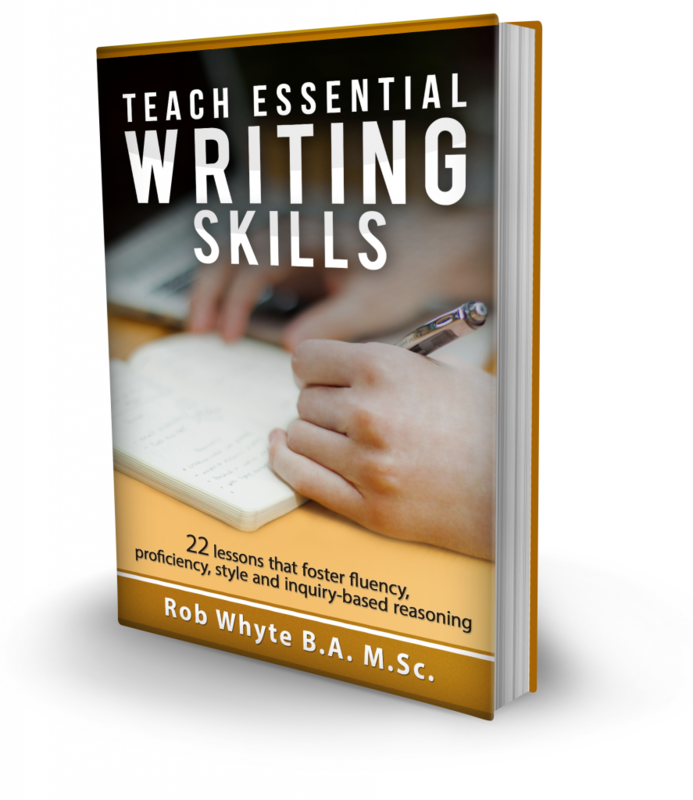 This material is based on an ebook I wrote called Teach Essential Writing Skills. Click here to read more and get a free 20-page sample. Featured image by Jacob Bøtter. Its use complies with the owner’s creative commons licensing terms. The Lego image, called Essential Kid’s Stuff, comes from Daniel Wildman. Its use complies with the owner’s creative commons licensing terms. I modified the area around the image by adding an arrow and some text. The die image, called Yellow Dice, comes from David Guglielmo. Its use complies with the owner’s creative commons licensing terms. I modified the image by converting it to gray scale and adding an arrow. I like your site, it’s an interesting idea. I’ve been teaching ESOL for 16 years & recently set up a site for people thinking of entering the field. Obviously, I’d like to monetize the site; would you be interested in adding a link to your site/books for a modest commission, which we can haggle over later? I’d be interested in any feedback you have on my site, constructive criticism is always useful.